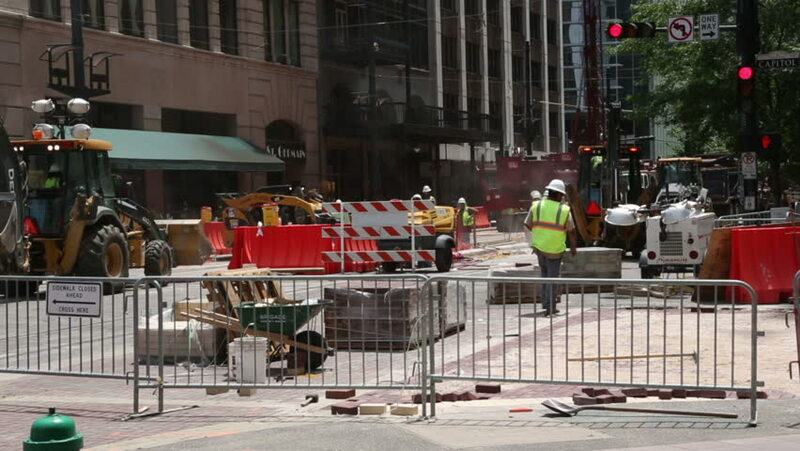 HOUSTON, TEXAS/USA - MAY 8: Construction workers make Houston downtown main street tram extension on May 14, 2013 in Houston. 4k00:16New York, NY / United States - January 28, 2017: View of the Shops Mall in Columbus Circle. 4k00:27KOLKATA, INDIA - 9 DECEMBER 2014: Traffic makes its way through a busy street in the bazaar in Kolkata.